The Sennheiser e 835 is a lead, vocal stage mic, designed to perform under pressure. Uniform frequency pick-up pattern maintains signal quality when moving on and off axis during performance. 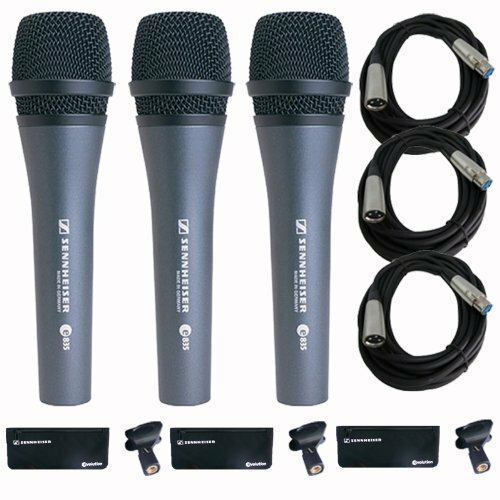 This bundle includes: (3) Sennheiser e 835 Vocal Microphones and (3) 20 ft. XLR Microphone Cables.